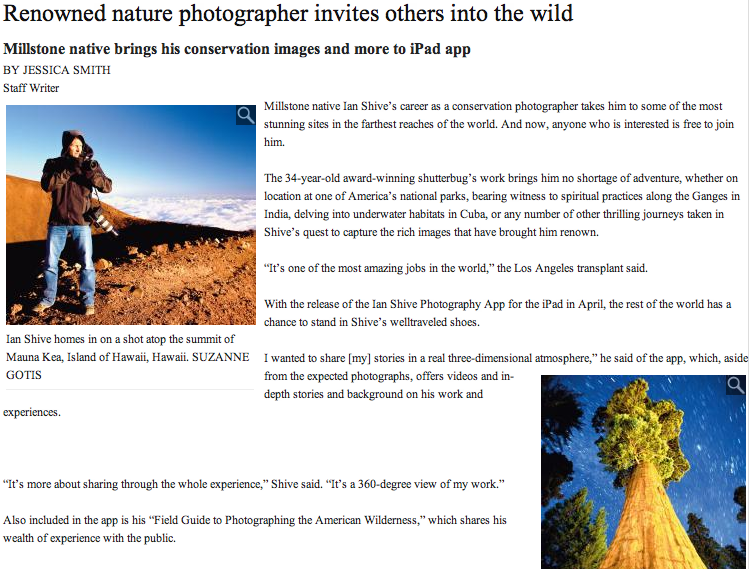 Ian Shive is featured in the Greater Media Newspaper’s Examiner to discuss how his unparalleled ability to capture the natural environment allows him to have a flourishing career as a conservation photographer, the publication of his book, and the development of his cutting-edge iPad app. 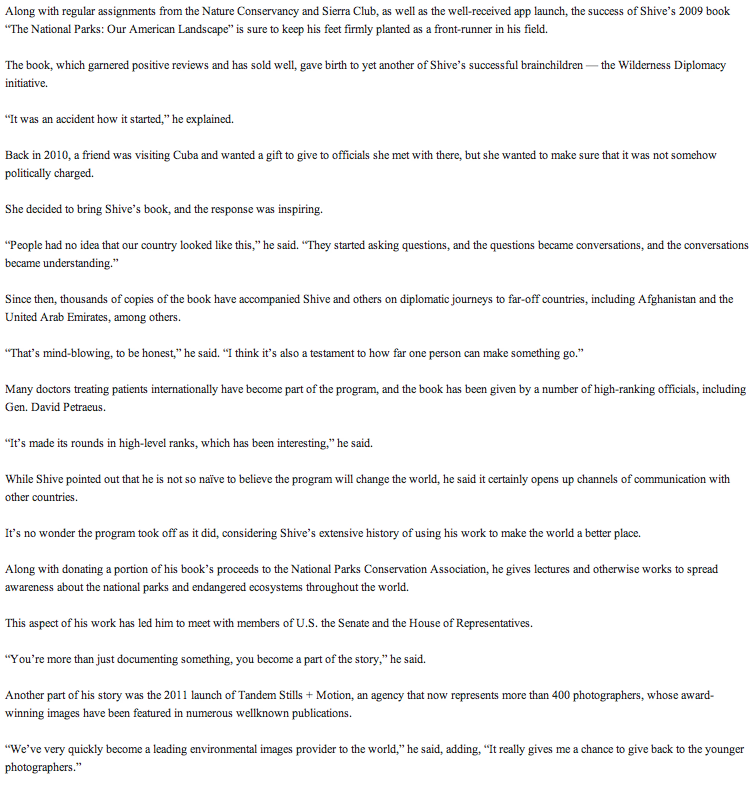 The article talks of Shive’s advancements to publish his book,“The National Parks: Our American Landscape,” and it’s success leading to Shive’s project, the Wilderness Diplomacy initiative. Read the article here.